Carol Wise, a 51 year resident of Chagrin Falls and South Russell, died peacefully April 2 at The Weils after a courageous battle with cancer. She was surrounded by loving family and friends. After graduating from Brush High School, Carol attended and graduated from Ohio University with a B.A. in Social Work. She was a proud member of the Alpha Gamma Delta sorority and stayed in touch with her college friends throughout the years. She loved her volunteer work with Rainbow Babies and Children’s Hospital and her 20 plus years as a real estate agent. She was also an avid golfer and tennis player as well as a Life Master bridge player competing, with her husband Larry, in bridge tournaments from Florida to Canada. 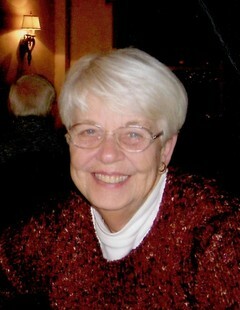 Carol, or ‘Nan’, loved caring for her children and grandchildren. She could be found playing catch, cards, or reading stories to them often. As they got older she loved attending ball games and other school and community events. Carol was preceded in death by her best friend and husband of 51 years, Larry. She is survived by her loving children Kathy (Carl) Litzler, Mike (Karen) Wise of Chagrin Falls, Sue (Brian) Beckman of New Era, Michigan and her adored grandchildren, Chris and Jamie Litzler, Andrew (fiancé Julia Godfrey) and Jeffrey Beckman, Michael, Daniel, and Ethan Wise, Nicholas and Matthew Benedetti, and Jessica (Mo) Alrajabi.